In the first months of the 2015, the fear of an invisible virus captured the nation’s attention. And what better place for the drama to play out than in Disneyland? In a few keystrokes, the major news networks framed unvaccinated kids as the cause of the measles outbreak of the century. Once upon a time Measles was considered a mild childhood illness that brought families together as a Right of Passage. Measles parties strengthened a child’s immune system for lifelong protection against future disease challenges. References to the measles can be found as early as the 7th century. In 1846, physiologist Peter Panum described lifelong immunity after recovery from the disease while studying a measles epidemic. Natural, lifelong Immunity is a birthright, beginning with the transfer of natural protection from mother to baby through the placenta. After birth, this protection continues for about 6 months and further continues with breastfeeding until the age of 2 when the baby’s immune system is robust. Since the Measles Elimination Vaccine Program of 1963 we have allowed medical opinion and antibody-only, “acquired immunity,” to neutralize the body’s natural “innate immunity.” Sixty years later, evidence shows that vaccination is not immunization. The media headlines should read, Vaccines Responsible for the Disappearance of the Natural Immunity Transfer Cycle from mother to infant. When infants need the most protection, they no longer have it. The CDC response? The 2015 vaccine schedule now recommends the first MMR be administered at 6 months, then again at 12 months (10 vaccines by 6 months) due to waning effectiveness of the vaccine. In other words, the vaccine doesn’t do the job. Measles outbreaks in highly-vaccinated populations are rising. Between 1983 and 1990, there was a 17-fold increase in the number of measles cases reported. During 1993-2001, there were a total of 120 measles outbreaks, and last year, CDC reported 644 cases, three times higher than any year since 2000. In a country where the CDC claims measles has been eradicated and “herd immunity” has been achieved, with less than 1% unvaccinated, what is the source of all the outbreaks? Look no further than the vaccine. The latest research shows that the highest infectious disease outbreaks, and deaths globally, are now in the most vaccinated populations. 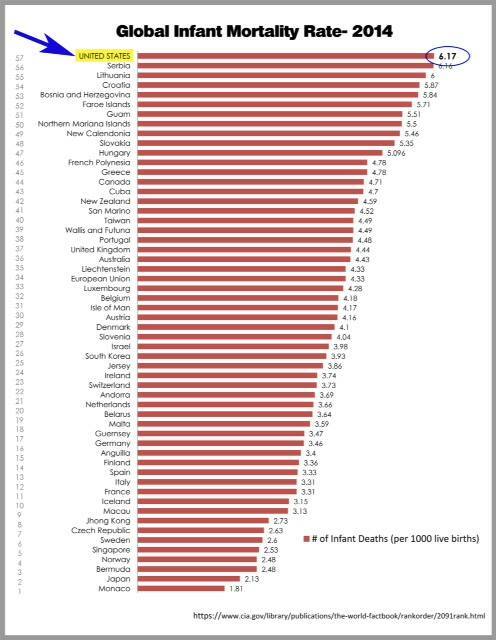 Mississippi, the state with the highest vaccination rate also boasts the highest infant mortality rate. Viral Shedding is listed on the original MMR package insert, which is also true of other live viral vaccines including Rubella, Chicken pox, Oral polio (where still used), and Flumist. If viral typing technology exists to determine the source of any outbreak, why wasn’t it used in the Disney outbreak? The panic generated by the media over an invisible virus gave the government the ammunition it needed to pronounce that everyone is at risk and no one is immune. Within a few weeks of the outbreak, politicians used vaccines as a power tool to push legislation in an attempt to eliminate vaccine exemptions and set the stage for the elimination of freedom of choice. Using fear, the media bullies parents to vaccinate their children or go to jail. The government threatens hospitals to mandate vaccines in workers to protect the public. The latest California bill (SB277) mandates vaccines if children attend public school, no exceptions. Will parents home school? Will adults be next? Will air travel follow? This debate is mere distraction to the greater threat affecting our ability to make choices for ourselves and our families. The threat to health and safety does not take the form of an invisible virus if you know that the body is designed to thwart all microbes naturally, without vaccines. Among our options, the greatest is choice. We can choose to opt out. We can choose to NOT consent. Parents need to reframe instead of react. Vaccination is not immunization. Manmade vaccines cannot replicate the body’s natural experience. Antibodies, by themselves, do not reflect immunity and are not required against all viruses as demonstrated by a study from the Journal Immunity. Research has established that we are 10:1 bacteria to human cells. We are more bug than human. We are also 8% viral. We are microbiome and virome. When we manipulate our bugs, we manipulate ourselves. In other words, we are no greater than our smallest inhabitants. Health comes from our inner terrain – maintaining a healthy immune system – led by our own native bacteria. As our bacteria know well, there is strength in numbers. We can maintain health best by joining together. Outbreaks in highly vaccinated populations have been common since the first vaccines were introduced. A recent 2013 outbreak occurred in North America in a population with over 95% vaccine coverage with a high rate of twice-vaccinated (48%) people. Where was the ‘hysteria’ over those cases? The 2013 U.S. national vaccine coverage for the U.S. was 91.9% for the MMR, considered by the CDC to exceed the “herd immunity” threshold of between 83-94%. Could it be that the measles virus does not obey herd immunity theories because it is cyclical in nature and endemic in populations? CDC claims that measles had been eradicated in the U.S. in 2000. But measles is known in the US and remains endemic worldwide. Does that reflect vaccine failure, Herd Immunity failure? Or both? Shedding of live virus strains puts others at risk, including the vaccinated, the unvaccinated, and the immunocompromised. Why isn’t anyone talking about vaccines as vectors of disease? Where are the case-control studies of bundled vaccines (the triple jab MMR) showing safety and efficacy? Research demonstrates the synergistic effects of two or more toxins causing harm. Where are studies showing that injecting vaccine ingredients like aluminum, polysorbate 80, aborted fetal cells, MSG, and formaldehyde does not cause harm to the body? Are we predisposing ourselves to cancer? In the 1990s, one child in 555 had autism. By 2013, the figure had risen to one child in 50. Are vaccines destroying children’s immune systems? All vaccines now have adjuvants (aluminum) added to stimulate an immune response. Science has demonstrated that adjuvants induce autoimmunity. Why do we ignore the known side effects of vaccination known as ASIA (autoimmune/inflammatory syndrome induced by adjuvants)? Measles deaths declined from 7575 in 1920 to around 432 each year from 1958-1962, long before the introduction of the vaccine in 1963, due to improved nutrition, sanitation, and hygiene. Since 2005 no one has died from the measles. However, the Vaccine Adverse Event Reporting System (VAERS) database identifies108 deaths from the MMR vaccine. Why did Congress in 1986, grant vaccine makers total immunity from liability if the vaccine can harm you or your child? If the makers don’t stand behind their products why should we? The U.S. government has paid out $3 billion for vaccine injuries, where only a portion of claims were ever awarded. Why doesn’t the pressure go to the vaccine makers for failing to make a product that is safe and effective? These questions have been purposely deflected by the medical, governmental, and media “herd” mentality. People asking questions are being questioned while politicians practice medicine without a license. Vaccine are not the magic wand for disease eradication. If vaccination is responsible for eliminating anything, it is responsible for eliminating lifelong immunity and the body’s ability to self-heal. A robust immune system is the best protection against infectious disease and cancer. And true immunity comes from a nourished body. The best treatment for preventing serious complications from measles is Vitamin A supplementation that is found in cod liver oil. What is the REAL reason for the sudden hysteria over measles and the media-induced love affair over the MMR? Are we being distracted for another reason? Merck is preparing to go to court. Yes, “Merck is facing a slew of allegations of wrongdoing from doctors in NY and NJ, and two former Merck scientists-turned-whistleblowers. A third whistleblower, a scientist at the CDC, promises to bring Merck grief following his confession of misconduct involving the MMR vaccine. The controversies will find Merck defending itself and its vaccine in at least two federal court cases after a U.S. District judge earlier this month threw out Merck’s attempts at dismissal.” Merck faces federal charges of fraud for fabricating results that could turn the industry into a house of cards. We can let fear drive the conversation and continue to argue over ideologies and blame the “vaccine-free,” or we can look to the legacy of the measles vaccination program and connect the red dots coming out in our children in outbreaks all over the world. More importantly, we can separate politics from health and preserve our rights to make our own choices for our own bodies or we may find ourselves all out of options under the mandates for all ages under the Healthy People 2020 Act. Rosanne Lindsay, ND, is a Naturopath in Wisconsin and author of the Nature of Healing, Heal the Body, Heal the Planet. Rosanne Lindsay, B.C.N.D., M.A., is an author and doctor of Naturopathic Medicine in Wisconsin, certified by the American Naturopathic Medical Certification Board, a national certifying agency for natural health care throughout the United States. As a Reiki Master, she also incorporates energy medicine into her practice. She holds an MA in Environmental Health Science from the University of Illinois at Chicago’s School of Public Health. She has worked as an Environmental Scientist for the U.S. Environmental Protection Agency in Chicago, for local government, and as an environmental activist for watershed protection in the Madison area.